Background Checks: What is really necessary? While background checks of potential employees are certainly necessary, some aspects that are being used today are inappropriate. I am all for the criminal history check, verification of past employers, and when necessary a person’s driving record. However, a credit check – your FICO score and overall credit history are no business of a potential employer. 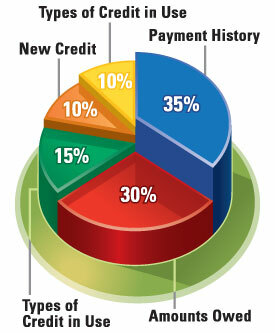 From the numerous studies that have been done showing credit history has no meaning to the ability or trustworthiness of an employee, to the less than stellar economy, and privacy issues (a credit check actually borders on infringement of a person’s right to privacy and is not a business’ concern), there are a multitude of reasons your credit history is meaningless. It wouldn’t be fair however if I didn’t also quote TransUnion and other credit organizations in this article as well who say “credit checks are an important security measure for companies.” Keep in mind though that credit organizations also make a lot of money from all the credit checks. These same organizations also point to the fact that many jobseekers lie on their resume – but this has nothing to do with their credit score. Candidate’s lie about whether they have a college degree, their dates of employment, and their job tasks. But, many a candidate who has lied on their resume has an excellent credit score. The resume lies and criminal history (that the candidate doesn’t disclose) should be what an organization targets, not a FICO score. …and those are just off the top of my head. To be judged as somehow unworthy for a position due to any of the above is ridiculous and shameful. It is also embarrassing to a candidate to have them explain credit history issues in an interview situation when in all honesty a company or individual is merely being nosy. I have had so many clients experience this over the past seven years I can’t even begin to relate the number of horror stories I have been told. Clients have been called and told they weren’t hired due to credit history, asked embarrassing questions in interviews, felt the need to pre-explain the embarrassing situation prior to being asked the questions, and been treated as some sort of second rate citizen because they had a financial issue. It is all undeserved if only in light of the recent economic climate. I typically believe the federal government should stay out of such matters, but this is one case where a law should be passed to stop the credit checks from even happening for employment. And, don’t give me the excuse it is due to money handling – I just recently had a high level bank manager as a client. This bank manager spoke of helping a new employee become bonded who had only two-month’s prior claimed bankruptcy. As she told me, she was hardly going to judge someone based on a score and a financial issue, as the employee and her husband had both experienced nearly a year of unemployment each. The employee has turned out to be stellar and is on their way to a promotion. 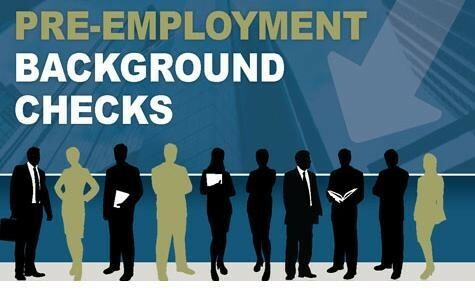 Let’s reserve the background check for what it was meant to do, detect lies about criminal history and employment history, thus protecting the company and giving insight into the veracity of a candidate’s information. Spend more time interviewing people and more time talking to references, as getting a true picture of a person doesn’t come from a FICO score. Karen Silins is a multi-certified resume writer, career, business and personal branding coach working with individuals and small businesses. After graduating with degrees in education and vocal performance, she made her own career transition into the Human Resources realm. Karen left Human Resources to become an entrepreneur and help jobseekers and fellow entrepreneurs achieve their goals. She keeps her pulse on the resume writing, coaching, HR, small business and marketing industries by working daily with individual clients on resume development and career coaching, consulting for small businesses in business plan development, marketing, hiring and overall HR processes, and providing 50-70+ seminars and workshops annually to a variety of organizations in the greater Kansas City area. She can be reached via her website at www.careerandresume.com.